• How much will it cost and are there payment options? 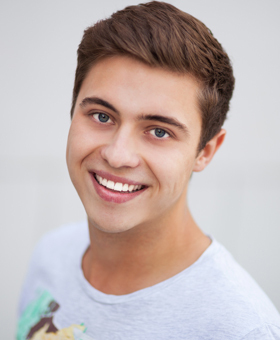 Why an Orthodontist? from AAO. Orthodontics is not merely for improving the aesthetics of the smile treatment improves bad bites (malocclusions). Malocclusions occur as a result of tooth or jaw misalignment. Malocclusions affect the way you smile, chew, clean your teeth or feel about your smile. According to studies by the American Association of Orthodontists, untreated malocclusions can result in a variety of problems. Crowded teeth are more difficult to properly brush and floss, which may contribute to tooth decay and/or gum disease. Protruding teeth are more susceptible to accidental chipping. During the first phase of treatment, Dr. Fry will work with your child’s jaw and muscles. 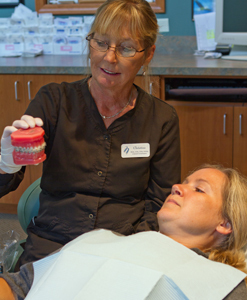 This treatment will help permanent teeth grow into the right place and the jaw to fit together well. By starting early, you’ve given your child the best chance for the best result. Early treatment may last a year or longer. Your child may wear braces during this time, but they will be used mainly as an anchor for other appliances that will influence the growth of bone muscle. In most case, a second phase of orthodontic treatment is also necessary and will usually start after permanent teeth have appeared. 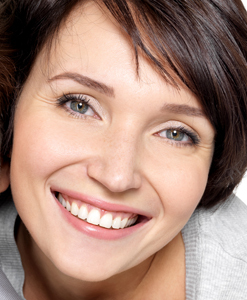 As permanent teeth have appeared it will now be time to look at your teeth and jaw to see if they need to be moved. You might need braces, headgear, or a positioner. Braces put steady pressure on your teeth to move them into place. As your teeth will move, Dr. Fry will adjust the braces. This term describes a group of problems related to the Temporomandibular joint (TMJ) and nearby muscles. Your symptoms may be painful and frustrating. You may have headaches, tooth pain, clicking sounds or muscle aches. If you are having TMJ symptoms, Dr. Fry will come up with a treatment plan to help you have a healthier and more comfortable jaw. 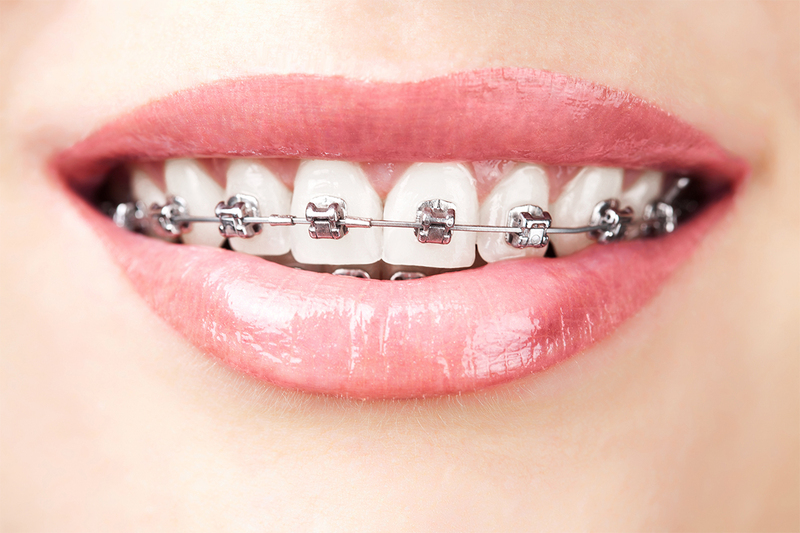 Today, patients now have more options when it comes to wearing braces. Regular metal braces are still widely used, clear braces are becoming increasingly popular along with removable appliances that can be used for mild cases of misaligned teeth. Take a look below to learn more about these options at our office. Metal self-ligating (no colored elastic ties) bracket s and conventional metal brackets with your choice of colored elastic ties. 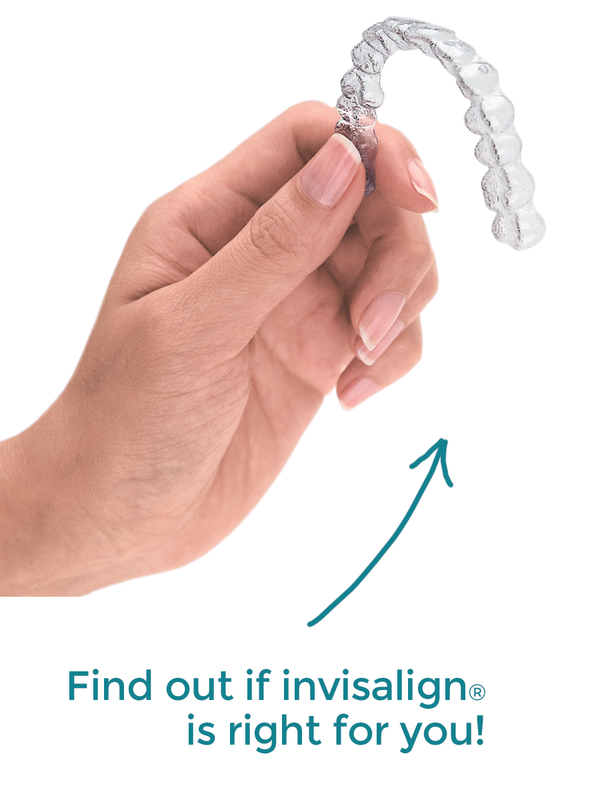 We are proud to announce that we are an Invisalign Premier Provider! Clear aligners are another type of treatment used to align teeth to an aesthetic and functional position. They are worn in 1-2 week increments and must be worn 22 hours a day for tooth movement. They are a nice alternative to braces if esthetics are concerned with traditional metal braces. To begin treatment a 3-D image of the teeth is taken in the office and then a treatment plan is developed by the doctor. The aligner company creates a sequence of aligners to complete the desired tooth movement. The next visit at the office will consist of attachment (tooth colored buttons) placement on the teeth to help facilitate tooth movement. After that, aligners are switched out according to the Doctor’s plan and periodic visits are made to check that teeth are moving as desired and to determine when treatment is complete. There are different brands of Aligner Therapy. 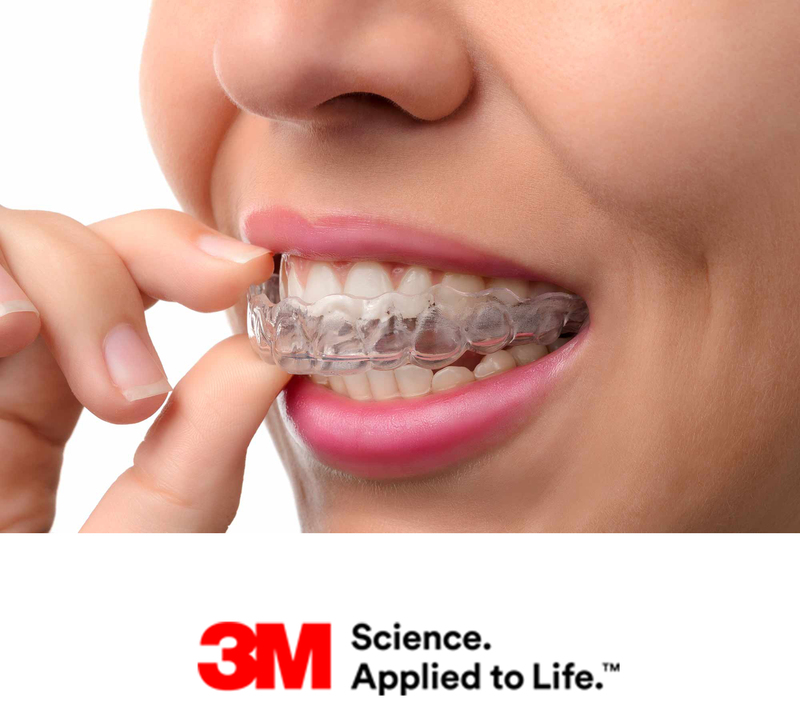 Currently our office uses 3M Clarity Aligners. Our office offers 3-Dimensional imaging which allows us to analyze the airway, the TMJ’s and impacted teeth in all directions. Our system is brand new and offers more information with lower radiation. We send all 3-Dimensional images to an Oral Radiologist to be read for pathology. The 3-D imaging gives Dr. Fry the ability to diagnose more fully at your exam appointment without the need for referrals to another office to acquire this image saving you both time and money! Our office uses 3-dimensional scanning to upload digital models of your teeth to create an easy and efficient way to place brackets. After your digital models are uploaded, Dr. Fry moves the brackets virtually on your teeth to the perfect place. Then a small plastic template is made and used to place multiple brackets on your teeth at once, instead of one-by-one. This allows for more brackets to be placed in a shorter time period and more accurately placed. The technology our office uses for indirect bonding is called SureSmile. The more accurate the bracket is at initial placement the sooner teeth will be in their ideal position for esthetics and bite correction can begin. Our office is not a participating provider for insurance, however, we do help you receive your orthodontic benefit. We will aid in filing with your insurance company and send in the necessary codes for you to utilize your insurance benefit. We do have the ability to bill medical insurance for TMJ treatments as well to help cover the cost of treatment. 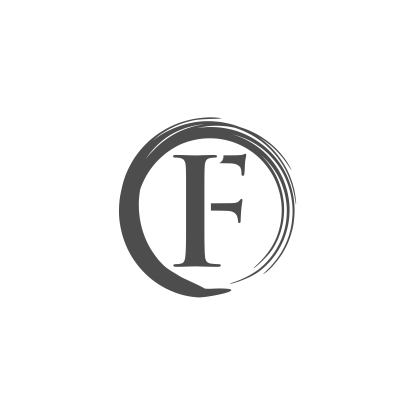 For financing treatments we offer 0% interest payment plans and discounts for paid in full contract. Additionally we utilize OrthoBanc for automatic drafting of payments from your checking or credit card for your convenience. You can also make payments directly thru OrthoBanc online! We would like to offer you some perks along your orthodontic journey — to not only brighten your visits to our office but also to encourage you to get your braces removed and to complete your treatment on time! We are calling this our Patient Reward program, developed in appreciation for our patients who strive to do their very best to keep their teeth clean, keep and attend their appointments in a timely way, and to take care of their orthodontic appliances and braces.